Does Your Water Heater Need Replacing? What Materials Are Best for Repiping? There are a number of plumbing problems, like leaks or clogs, that all you need to do is give our plumbing pros a call for a quick repair. However, at some point during your homeownership, your plumbing system may age to the point that replacing all or some of your piping may become a necessity. Fortunately, you needn’t look any further than our team for quality whole-home pipe installation services! Whole-home repiping is one of the safest ways to protect your home—at least form leaks and water damage that can ruin your property and leave you paying to not only fix the plumbing, but repair your home. But how do you know if your household actually needs this service? This is a good place to start. Up until the early 1960’s, plumbers were still regularly using galvanized steel for installing pipes in homes. This material is long lasting, however in this case, “long lasting” means approximately 40-50 years. If your home is still using galvanized steel piping, then it is over two decades overdue for a pipe replacement! Today’s plumbing installations utilize copper or plastic piping, which is even longer lasting than galvanized steel is, and does not experience the same problems. What problems, you ask? Galvanized steel often falls victim to rust development, subsequent corrosion, and the absorption of contaminants such as lead—this puts not only your plumbing system at risk but also your health. 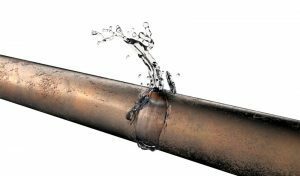 A couple leaks here or there over the years likely means that you need repairs, or maybe you need to replace one small section of your piping. But if you’ve had to repair numerous leaks throughout the years, each in different areas of your home, then it could very well mean that your plumbing system is failing. At the end of the day, repiping will be a better option than replacing corroded pipes piece by piece. The latter gets expensive, not to mention inconvenient. Water with a buildup of minerals, namely calcium and magnesium, are known as hard water. Hard water isn’t harmful for people to ingest, so there’s no reason to panic if your water supply does include hard water. However, these minerals can and do cause problems for the plumbing appliances in your home. Signs such as white or yellow-green buildup around fixtures like faucets and showerheads, water spots on your dishes out of the dishwasher, and even fading clothes right after you wash them all are indicators that you likely have hard water. In most cases, this problem can be resolved with the installation of a water softener. However, if you’ve noticed a drop in water pressure then you may have pipes with pinhole leaks from the corrosion already. Whole-house repiping is typically a “last resort” plumbing repair. But with that being said, if you suspect you may need it or you want to learn more, it couldn’t hurt to call in a pro to inspect your plumbing system. For exceptional customer service from nice and professional plumbers in the West Palm Beach area, contact Admiral Plumbing Services, LLC.